I am a Hallmark girl. I have worked there twice in my life and will not buy a greeting card unless it is from the actual store. Their Christmas ornaments are amazing and we have so much fun going through the catalog every year searching for our favorites. Trim the tree parties are filled with Hallmark boxes ~ of both ornaments and decor. One of the best parts about working at a Hallmark store were the gifts! I don’t just mean wrapping paper and bows, but collectibles and best selling products. Jim Shore, Precious Moments, and Willow Tree are just a few of my favorites. Hubby gives me presents for my birthday and Christmas from these figurine lines quite often. They have a lot of meaning and are perfect for any type of gift ~ showers, weddings, new babies, friendship, thank yous. I was super excited to find Coppin’s Gifts! An online Hallmark store that specializes in all of the great products! From DaVinchi Beads to snoozies! slippers to a terrific selection of puzzles! You can find any Gift ~ for anyone on your list ~ for any occasion! The first time I worked in the store, Beanie Babies were the rage. Gosh, I remember the fights to grab them when our store opened. The second time it was Webkinz. Now the big item is My Pillow Pets! Coppin’s Gifts sent us the Penguin My Pillow Pet. Now my boys have collected MANY stuffed animals over the years. Their room is overflowing. Hubby was determined to not let them fall into the ‘must have pillow pet’ trap as they are good sized and they surely didn’t NEED them. Hubby lost that battle of course. Now each of the boys has one. ha! We were surprised at how nice these are. They are super soft (chenille!) ~ even I like rubbing my hands through it like I’m petting an animal. hee hee. They are squishable, which makes them nice to sleep with. They are fun! Make them look like a petl by pulling the strap over their belly ~ easy ~ or leave it alone and they are a flat pillow. playing giddy up…try telling him that is for horses! Many animals to choose from and they are all pretty cute. Which is your favorite? I received a My Pillow Pet for review and was not compensated in any way and all opinions are my own. This giveaway will end on March 19, 2012 at midnight EST. Winners will be drawn via rafflecopter. Once a winner is drawn I will contact them and they will have 48 hours to reply before I draw a new winner. Giveaway is open to anyone in the US and you must be 18 years of age or older. Giveaway not affiliated with Facebook & I release them of liability. Winner will be posted in the rafflecopter widget. Love all of the gifts at Coppins. My son has a pillow pet but my daughters don't yet. We have a "pillow pet" of sorts, but it isn't very cuddly. These look so cute and cuddly! both my kids have two pillow pets. I only bought them one and didn't plan on buying any more, but I had no idea how much of a hit they would be. Now they want them all!! My daughter has one she loves to snuggle with it. I do not have a pillow pet but I would like one. I do not have a pillow pet but love the website. We have 1 small pillow pet that I bought my grandson at a thrift store that was like new and he loves it. And yes, I did see the gift at Coppins. I was liking those annoying monsters. One from each grandma, a puppy and a bee! One of my grandsons already has a UGA Bulldog pillow pet and he loves it! I would love for my other grandson to win one of these so he has one, too! I really like the "Willow Tree You and Me". It looks so warm and comfortable. Both mommy and baby stays warm. No we don't have one. There are some cute ones! Thanks! think the dog pillow pet is cute and my kids would love it. 2 of my 3 boys have pillow pets! Thanks for the chance! We have the ladybug & my daughter just loves it! We have 2 Pillow Pets - the dolphin and the original puppy. Dh uses them more than dd does! LOL I want the Rainbow Unicorn! We don't have any yet but I'd love to get one! We don't have a pillow pet yet, but I was thinking of getting one for my daughter for her birthday. They sure do have neat stuff! My son has a pillow pet and looooves it! We'd love to get one for my daughter too!! Hi, I went and looked and I love the store because I have been there before. Thank you for the giveaway. We do have a pillow pet, my daughter loves ut! We have a bumble bee and a unicorn! Cute! My daughter just got a pillow pet (the butterfly) for christmas and loves it! We would love to have another one! We don't have a pillow pet, but if we win I'd like to give it to one of my nieces or nephews. We have a pillow pet, my son loves him. I want to get him one of those happy nappers. We don't yet have a pillow pet. Sigh. 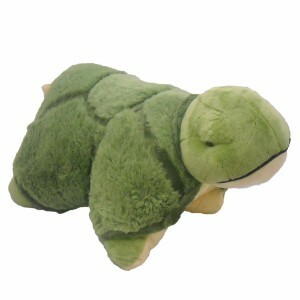 I love the Turtle Pillow Pet!! He is so cute! My son is 2 1/2 & doesn't have a pillow pet yet! Does that make me a bad momma? haha. He DOES have the Happy Nappers Dragon that they have on their website though! He loves it and I think he would love a pillow pet as well... oh the choices! The moose pillow is super cute. AND I LOVE the Annoying Monster toys on their site too.!!! Thanks so much! We have a big lady bug pillow pet and a small dog one. My kiddo loves them! No pillow pets here, but my daughter would love one! I like their Snoozies Slippers and Da Vinci beads! my daughter has a pillow pet but my son doesnt have one. Coppin’s Gifts has some cute things. the snookies and the charm it are adorably. Right now we have 1 pillow pet, but 3 more are hiding in the closet for Easter. No I don't have a pet pillow. I did visit Coppins and i just love the snoozies! Aqua Fur Super Plush Foot Coverins. My nephew has several pillow pets and sleeps with every one of them. I'm sure he would welcome another! My nephew would love a pillow pet. I've seen them around, but didn't realize how many different animals you could get. My cuddle pillow pet is my kitty, Joey! My son is my cuddle bug, but Im sure he would love a pillow pet too! My daughter loves pillow pets and can't have enough of them. Thank you!! my daughter has a purple unicorn pillow pet, my eldest grandson has a bumble bee and now I need one for my little grandson :) they surely are adorable, and I too love Hallmark stores! My daughter has a Pillow Pet and would love another. My 3 older kids have pillow pets, I'd love to win this for my 2yo! i wan a giraffee pillow pet!! My son has 2 pillow pets and LOVES them. I'd love to have one for the baby on the way. Coppins has lots of cute stuff. I really like the zoobie pets too. My 4 year old has a dolphin & my 3 year old has a giraffe! My 1 year old keeps trying to take his brothers pillow pets so i hope i can win him one :) Thank you! My kid's have wanted a pillow pet ever since the first commercial aired! 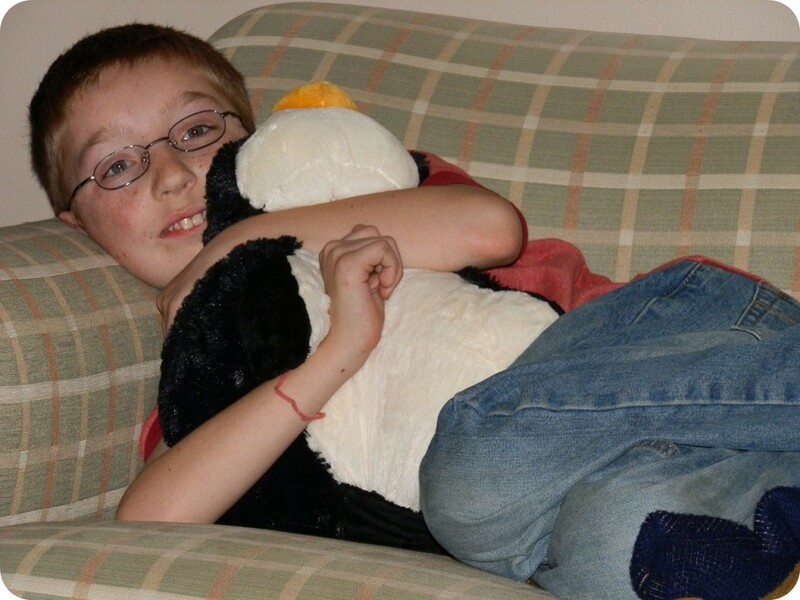 I have a penguin pillow pet and I love to snuggle with it!!! We love pillow pets we have the zebra and elephant so far! Each of my 3 kids has a pillow pet that they sleep with every night! We don't have a pillow pet but my kids would love it! I don't have a cuddly pet, but I would love one! My daughter has a unicorn pillow pet. I think they are adorable...and so soft! Thanks! My son has a cute stuffed dog that he likes to go to sleep with. He would love this! Oh there pillow pets are so adorable. I loved the moose! No pillow pets yet. Hallmark stores have come a long way. The cat and moose pillow pets are so cute! I don't have a Pillow Pet, but I would love to get one! We have one and she loves it! 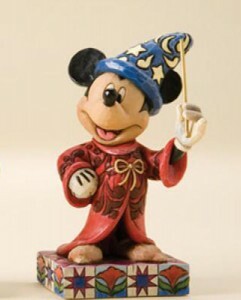 I love that Sorcerer Mickey! My daughter has a pillow pet and my son would love to get one too! We don't have a pillow pet, but I know a little girl who'd really like one! My daughter is wanting the unicorn bad. Her brother has the bee and the blue stegosaurus. We have the Unicorn Pillow pet and I love it!! Pillow pets are so adorable, I would love to have one! yes A. has a mini pillow pet - actually the turtle! :) he loves it. I'd love to get him a big one too! I don't have one but I think they are really cute. We don't have a pillow pet yet...but I know the kids would love one! I wish I could buy both of my nieces a pillow pet. They are 1 and 2 and would love one. My boys have Pillow Pets and love them. Just found out baby #4 is on the way and would love to have one for them to cuddle with someday! Thanks for the chance to win! Nope! No cuddly pillow pet here! 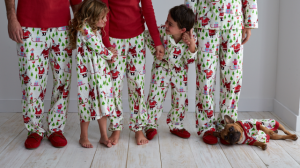 :o( Yes, I did browse the gifts on Coppins site! I would love to win one of these for my neice. My older daughter has a bee pet pillow and I would love to get one for my younger daughter! My daughter has a zebra pillow pet and I'd love one for my son. My daughter has a ladybug and a unicorn, loves them! The Snoozies are too cute!! They would be a great giveaway item (Hint Hint) !! I don't have a pillow pet. :*( I browsed the site and they have some really cute things. I love the My Pillow Pet Blankets. Would be hard to choose just one, they are all adorable. My son has a pillow pet already and he uses it as his regular pillow. But I'm expecting my second child in May and need to make sure that one has his/her own pillow pet! So this would be hugely important to us. Tam S.
My son has a Valentine dragon pillow pet, but my daughter has been wanting a polar bear for a long time! My grandson collects pillow pets. He loves them. My daughter has one Pillow Pet and loves it. I do not own a pillow pet, but my sister would love one. My daughter has the Magical Unicorn Pillow Pet. My daughter has a Panda Pillow Pet. My son has the dog. I bought pillow pets for my sisters last year and, in all honesty, I really want the moose!! I think he's adorable! we do own them and they are so soft! my youngest would love to have one of his own, maybe a bear? We don't have any pillow pets, but my youngest wants one really bad! We love Pillow Pets!! I need to get the Moose for my husband!! My kids love pillow pets.. we have two pillow pets and six kids so we're on the search for more! I think my daughter would love a pillow pet! I also love that the carry Da Vinci beads on there site! My daughter does not have a pillow pet, but I'd love to get her one! I have a turtle pillow pet that I sleep with every night. I begged my hubby to get it. Please don't judge me. Lol. I don;t have a pillow pet. I would love this! We currently have no pillow pet but i am sure my son would love one! 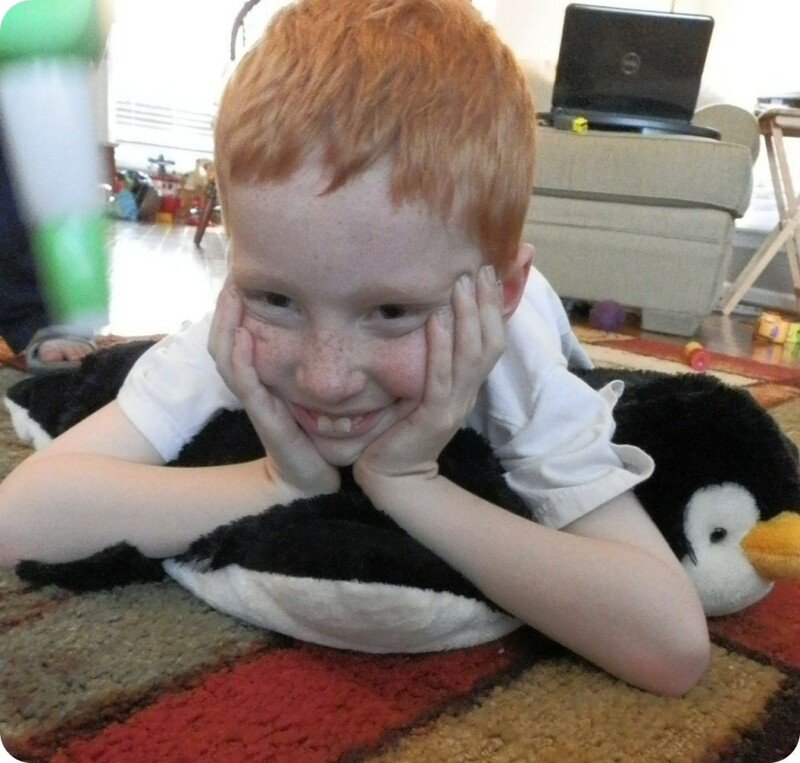 My youngest wants a pillow pet, so this is an awesome giveaway you are hosting. Thanks so much for the opportunity to enter! I have the Ladybug Pillow Pet but would love another one for my son. I like the Zoobies Furbie the Feline on Coppins Gifts. They have alot of great gifts for everyone. My oldest child has a ladybug pillow pet and the other kids want one too! They are really cute. My daughter wants a girly one. I dont have a pillow pet but I know someone who would love one! We have the puppy pillow pet. These are so adorable. They make great gifts. My kids all have one. They really love them.